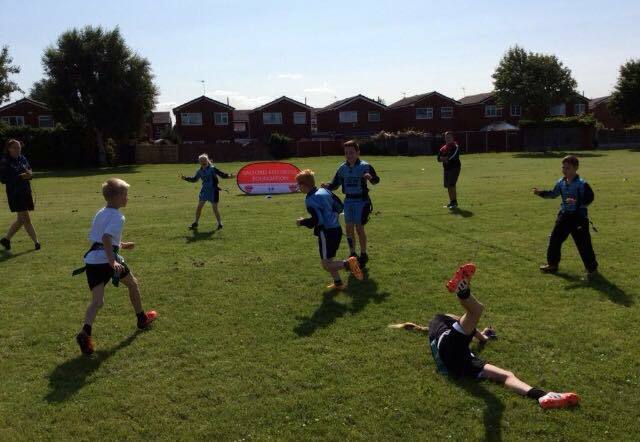 On Wednesday 15th July we ended the school year by inviting all of the local Irlam and Cadishead primary schools to the local amateur rugby league club Cadishead Rhinos to take part in a competitive tag rugby tournament. The aims of the tournament were to give the children an opportunity to play competitive games of tag rugby with other children from other local schools in the area, emphasizing the fun and enjoyable elements of the game. The second aim was to work with the local amateur club, Cadishead Rhinos. 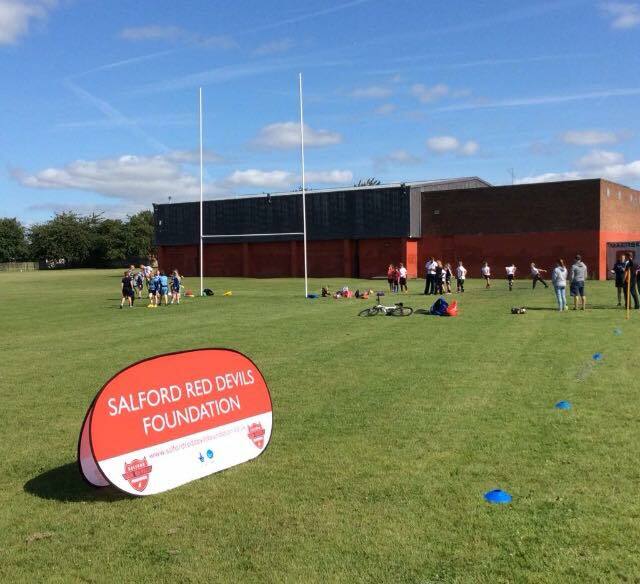 Holding the tournament at the club meant the children got to experience a rugby club environment and get them interested in playing rugby league out of school. The tournament was a great success and we received great feedback from all of the schools. Irlam Primary School came out on top winning overall. Next school year we hope to hold more festivals and give more opportunities for primary school children to get involved.